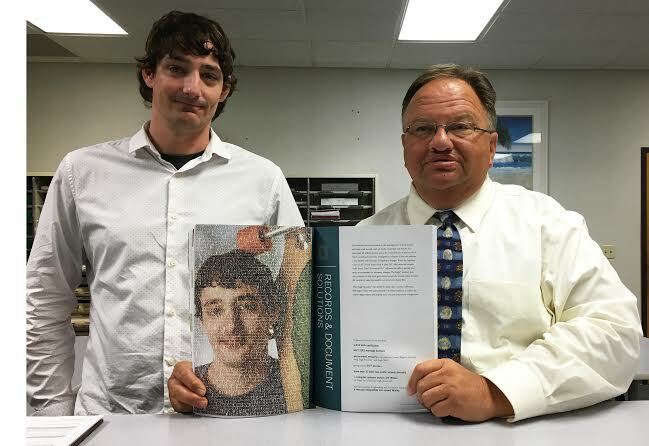 The Johnston County Register of Deeds Office recently received copies of Tyler Technologies’ 2015 annual report, which features the office and Jeff Wilson, the office’s computer systems analyst. The profile details how Tyler Technologies has improved the office’s functions since implementing Tyler’s Eagle Recorder™ and Eagle Web™. The office’s previous recording software was not functioning as indicated at the time of purchase, which resulted in a massive influx of phone calls at all hours of the day and night. Register of Deeds Craig Olive and Mr. Wilson were faced with the task of finding a recording system that better fit the needs of the office, and much research and time was involved in finding the perfect fit. This research led them to Tyler Technologies. The office chose to partner with Tyler to provide the best possible recording software to better serve the citizens of Johnston County and ultimately, save tax dollars in the long run. This perfect fit also included a financial savings to the county as the previous software company planned to increase the monthly maintenance fee charged to the office. This savings and the quality of Tyler’s Eagle solutions have meant positive changes for the Register of Deeds office and the citizens of Johnston County. In fact, since implementing the Eagle solutions, Johnston County’s e-recording volume has increased by 45 percent, and its customers have found the system to be easy to use and very flexible. The county has even been able to offer other services in the office, like providing passports, since less time is required by office personnel.